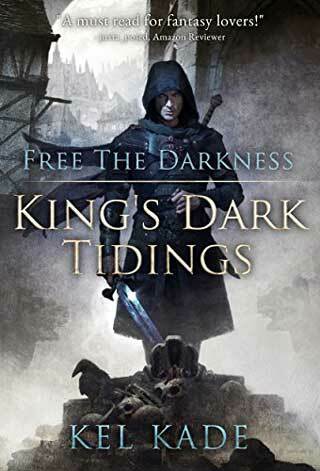 I really enjoyed reading “Free the Darkness.” Never knowing what Rezkin was going to do next pretty much kept the pages turning for me … he was my favorite. The storyline was well written and descriptive that I could picture every scene in my mind while reading this book. Character development was great. I am looking forward to reading book two. Determined to adhere to his last orders, Rezkin extends his protection to an unlikely assortment of individuals he meets along the way, often leading to humorous and poignant incidents. As if pursuing an elite warrior across a kingdom, figuring out who he is and why everyone he knows is dead, and attempting to find these so-called friends and protect them is not enough, strange things are happening in the kingdom. New dangers begin to arise that threaten not only Rezkin and his friends, but possibly everyone in Ashai. This is the first installment of an ongoing series. This book is intended for adult readers. It contains graphic violence, creative language, and sexual innuendo. This book does not contain explicit sexual content. This novel sounds to have an epic tale that begs to be told. I’m interested . . .